I am a formerly fat, hypertensive guy who loved burgers, fries and pizza more than he did his own health, and once ballooned to 261 pounds. One day doctors discovered “industrial strength” high blood pressure in my 250 pound body. Faced for the first time with my own mortality, I decided to start running. 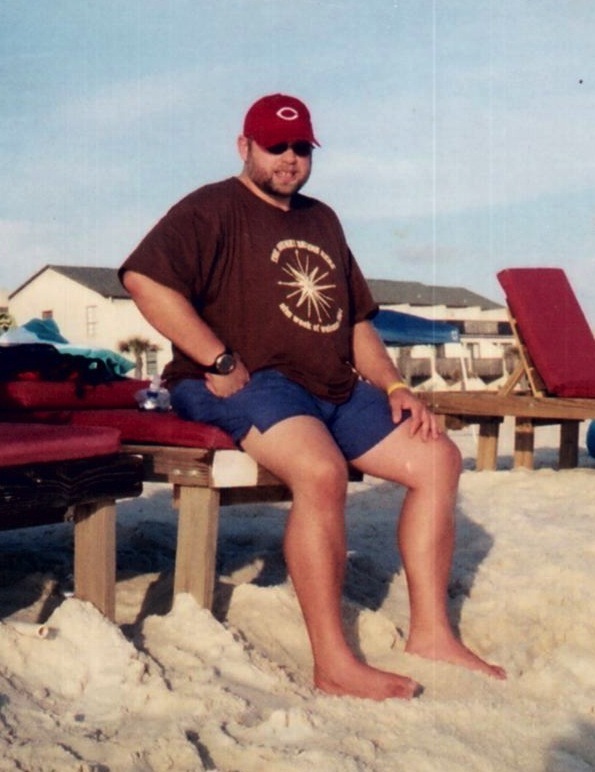 I lost a little weight, and ran a marathon in 2009, but my lifestyle of bad food and unhealthy choices remained. Running the Walt Disney World Marathon in January 2009 changed my life. 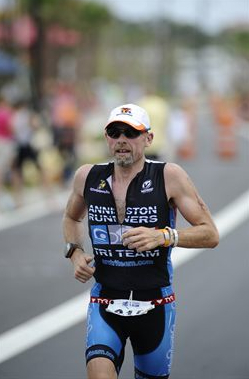 It opened my eyes to what endurance sports could do for me. It showed me that lazy old me could accomplish things I had never allowed myself to consider. It introduced me to new friends. It made me feel like I could accomplish anything. But I still needed to get control of my nutrition. In July 2009, having made up my mind to finally get control of my health. I weighed 231 then. I weigh 159 now. I have been off blood pressure medicine for three years. I am Vegan, and my running has improved exponentially. My first marathon took 6:10 to complete. In December, 2009, I ran a 5:33. With training and sound nutritional advice, I ran 3:48 in November 2010, 3:40 in January 2011 (dong the Goofy Challenge)!, and my current best time of 3:28 in February of 2011. Between January 2009 and February 2011, I shaved almost 2 hours from my marathon time. 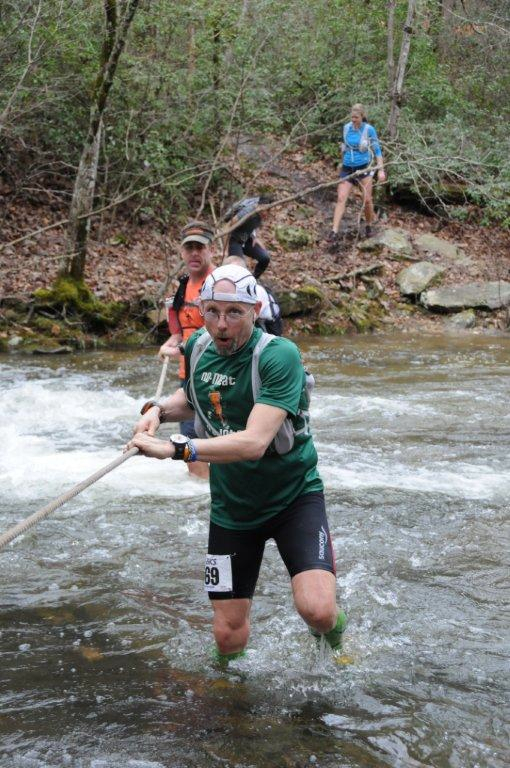 Marathons led to Triathlon, and then to Ultra and Trail running. Seeing how far I can take my generally lazy self is a motivation for me. I am 49 and feel like I’m 18 again. My recovery from workouts is quick. I rarely have sore muscles, even after the most strenuous of exercise. My doctor and friends are taken aback at my transformation. I look younger! In short, I am finally physically, everything I’ve wanted to be. But I am also happier and more positive. I’ve completed 15 marathons, a Half-Iron distance (70.3) Triathlon, 10 ultramarathons , some stage races, a 46 mile race, and a 100-miler. I am motivated by the desire to push my body to go farther and faster than I could ever have imagined just a few short years ago. I am, quite literally, a fraction of my former self. I have a wonderful family, a crazy dog, and a few of thousand friends on twitter and the tubes of the interwebs. This blog chronicles “This Running Life” of mine. Thanks for stopping by. At the finish of Lake Martin 100 in 2016. I did it. Hey Gordon, Just want to say thanks for ALL the podcasts you’ve contributed. You’re one of my top favorites to listen to when I’m out for a run. I appreciate your ‘stream of conscious’ style as it makes it even more like just being out for a run with a friend. Also, I appreciate finding Megan’s podcast through you. I was vegetarian for a year a long time ago and I’ve always said that was the healthiest year of my life. Finding her has encouraged me to move back in that direction. So thank you, on so many levels. Good luck with the marathon next weekend! Can’t wait to hear the report! I was first a Trilogy Running fan and that is what got me onto all the other running podcasts (Do you know or could comment on what are they doing now – I think that would be a great interview with Shawn and Jason as a “Where are they now” – you always had great chemistry with each other). I listened to your podcast on again off again and rediscovered it recenttly as I was training for my own marathon (Portland 10.10.10). In the weeks after I have really become a fan of your new podcast and now attempting to start all of the way over with #1 Running to Disney to learn the entire story (in order this time). Currently on #7 – You just finished your first marathon and don’t sound nearly as inspired by the results. (A little like how I feel). Anyway, Great job on your transformation and will be looking forward to hearing more about your running life. Keep us posted and do consider a TR update. Hey G! I just wanted to let you know that I’ve been listening to your podcast since the first one came out! I loved listening to your updates on the Extra Mile podcast, so when you said you were going to start your own I knew I wanted to listen. Thanks for all your hard work and devotion! May all your marathon dreams come true! As much as your times have improved, the biggest improvement has got to be your attitude about the workouts and life in general. In the earlier episodes it seemed like running was something you were doing and now it seems like by the 50th episode you are a changed man in many ways! I am loving catching up! Great Job with every podcast! May I suggest for your new listeners who don’t want to start all the way back at Running to Disney #1, consider starting with #53! I have listened to #53 and #55 several times now and find them motivating everytime! In fact, I am about to take #56 on the road today! Just listened to your podcast, i accidentally dloaded the chickamaeuga race report, while i thought i clicked on the marathon taper one. But anyways just wanted to comment on your training, i think it would help tremendously given the aerobic base you have built up now, to just concentrate on 5k, 10k training for at least 3 to 6 months then jump on the marathon training again. Itll take alot longer getting to boston just sticking with always slower milage. Once you get your legs used to running faster running 815-755 will be easy to achieve. Enjoy your podcast. I think you should stop yelling at people in cars. If they don’t get you they may take it out on the nest runner they see.And it might be me. I’ve enjoyed your podcasts for the last 18 months or so so I thought it was time I got in touch to say thank you for all the effort you put into broadcasting, and to congratulate you on all your achievements. Your transformation – mentally & physically – is phenomenal. I took up running 4 years ago at the age of 41 and have done 12 10Ks and a couple of half marathons in that time. Unfortunately I don’t seem to have the mental strength to get much faster at all, so your achievements seem even more impressive to me. Keep up the good work – you have Boston in your sights. I stumbled across your podcast last week and am hooked! I started running last year, but haven’t been consistent. So I was looking around for something that would help me along. Even if I never run a marathon, listening to you has been great. Thanks! Can’t wait to catch up on as many as I can. Been going down the line of running podcasts and discovered you today. I was very touched by your latest podcast. Never take anything for granted. So I’m enjoying your podcast very much and will be listening to more!! I’m in the process of training for a half marathon in June- The Rock n’ Roll one in San Diego. So Thanks!! P.S. to the last post. I am also a vegan -spurred by the research that proves cardiac disease prevention and reversal -but also by the ethical aspects which I had suppressed for a long time. I listened to your latest episode this morning while out on my morning run. I always enjoy your podcasts but this one about your birthday was particularly inspiring. 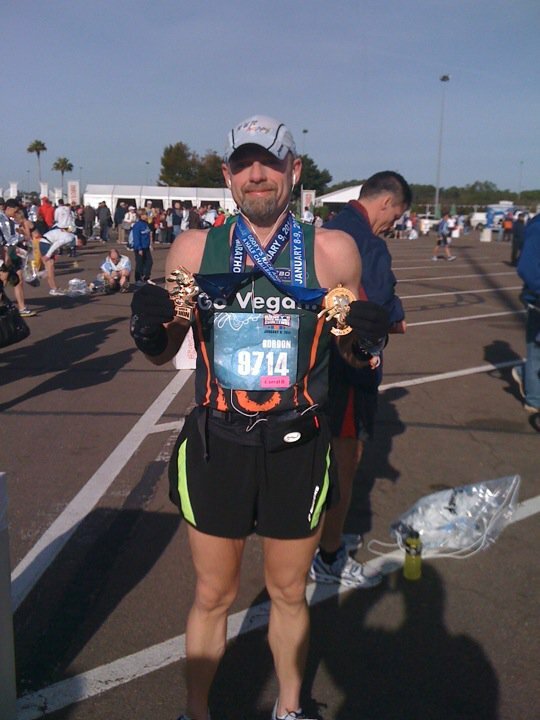 I am about your age (45) and if someone in high school would have said I would have run 4 marathons and 13 half marathons in the past 5 or 6 six years – I would have said they were nuts. Well here I am and running listening to you talk this morning and you are telling my story. I am inspired by you everyday – this morning it was 30 degrees and a little rain coming down but I got out there ( my first time out in about a week) but I did it and I have you to thank! Thanks Gordon!! I started listening to your podcasts when I started to train for Disney Goofy in 09. I ran Chicago as my first marathon in Oct 08. My first Chicago was 4:38. I was on pace for about 4:15. For Disney Goofy I ran the half in 1:53 and the full in 4:38, again pn pace for 4:15 but things fell apart late in that race. I have done better in half races than the fulls. Training right now for Chicago. I also need to lose some weight as I have gained since I ran some of my better races. Hoping to lose about 20 lbs in time for Chicago. 15 would be fine also. I wanted to drop you a line about your podcast about the central governor. I just ran a tough half-marathon (Laguna Hills Memorial Day) and throughout the race my thoughts were, between trying to breathe and running up what seemed to be a constant hill, about the podcast. I was pushing my body past my mind seeking a threshold that was limited by my thoughts of this seems to tough. Well I finished in 1:35:15, my second best time – but this course was a hilly course so I believe my effort was greater. Two weeks prior I finished the Pasadena Half in 1:38:50. We need to push past our governor during training runs and the race. Thank you for that podcast – it will push me to reach my goal of breaking 1:30 for the half and 39 minutes for the 10k. Not bad for a 54 yr old. On a quick side-note I also lead a company called Simply Zen that creates Vegan food for Whole Foods in New York and soon in California – where I live. Keep up the good work. Wow. Your story is incredible, and good luck with your training and qualifying for Boston. WOW!!! I am very emotionally overwhelmed with your story. Thank you for sharing it with us. I found your podcast and only listened to 5 minutes of episode 34 and knew I had to come home and find out more. I needed a little motivation right now as I have started burning out a little. My story is a similar one and I am actually still in the midst of my journey. 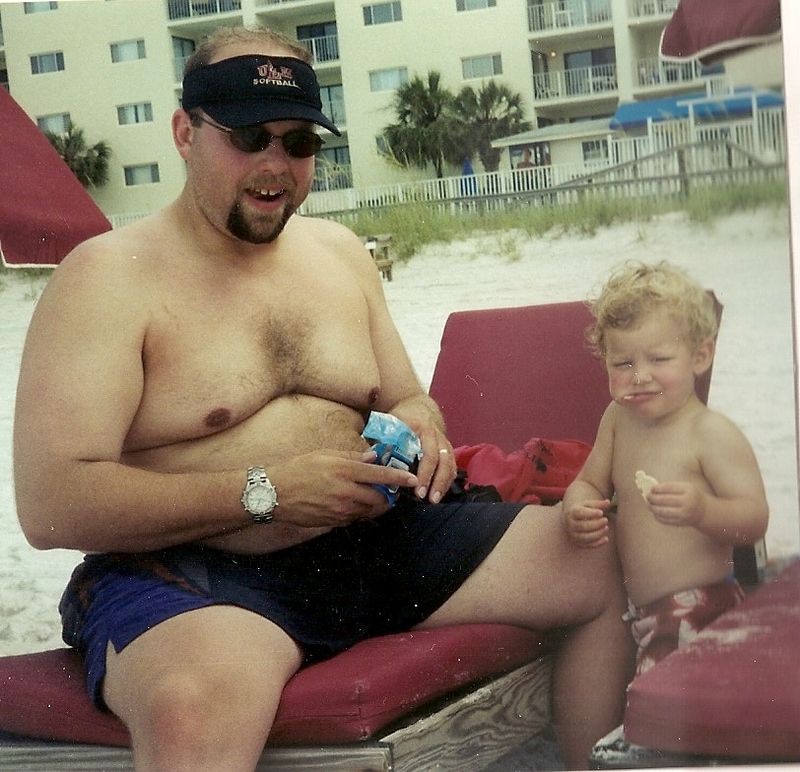 I started running at 240 pounds and was once close to 260. I am only 5’6″ tall so I was quite heavy. My goal is around 155 and currently I am 195. My first 5k was 39:15 I have been running now for a little over a year, well actually I stopped in April thinking I needed diversity in my workouts and was at a horrible weight plateau, but then after 5 months I just missed it so much I did not care anymore about my plateau I was determined to run again. My time for the same race 1 year later was 27:45. I also have blogged about my journey. My blog was more of a public journal as I whined, complained and vented about my struggles…. lol … but if you are interested I would love to have you follow me. Thank you so much and keep up the inspiration. Mind if I use you on occasion for some encouragement? I’m sure you’ve been through it all. Just stopping in to say hi! I found your podcast last week and up to #10, I think. Wow, how you’ve changed!!!! I’m trying not to read the blog, as I don’t want to spoil the podcast. I’m training for marathon #2, and it seems to be going rougher than the 1st. But you’re inspiring me. So, I’ve been taking you out running with me the past week or so, and I expect you’ll be coming along for next weekend’s 15 miler as well 🙂 I, too, am slow, averaging about 10min/mile for shorter runs, and 11-11:30/mile on longer runs, but I see you’ve improved your speed greatly. I’m interested in seeing how that came about. I started running for real in 2009 with training for my 1st 5K and have never been fast, but you give me hope! Keep on going!! Found your podcast on itunes just the other day. I downloaded most of them and listen at work. I am a Deputy Sheriff in South Georgia. Your shows have gotten me through the past few shifts. Just wanted to add that you have motivated me!!!! I am pledging that within a year of my next birthday, which is March 15th, I plan on running my first half!! I do a 5k a day right now and can’t wait!!! Thanks for being a great insiration!! Run Safe. That is truly inspiring; what a great bio. I’ve been a runner for about 14 years now, and I recently made a switch to an almost-vegan diet (I am also gluten intolerant, and when I travel, trying to find food that is GF AND vegan is hard – so sometimes I get away from the vegan diet when I’m on the road). I was looking for vegan running blogs and found yours. I look forward to reading more, especially now that I’ve seen your story. It is amazing to read your story! You are such an inspiration, and one thing sticks out to me—you made a choice to change! God built our bodies perfectly! Thank you for giving me advice and helping me to make positive changes in my eating habits (and taking the chicken-like food that I didn’t like! haha). You WILL QUALIFY for BOSTON!! 🙂 We are cheering for YOU! I just wanted to let you know that you have been an inspiration to me. I heard about you on the “running conversations” podcast and thought that I would check out your blog. Much like you I trained and ran a full marathon and along with it I ate terrible and didn’t lose any weight. I also ended up injuring myself during the race and then slowly fell out of running. After looking at your blog and hearing about your vegan lifestyle I decided to do some research on it. I have tried all kinds of “diets” and nothing seemed to work for me. So I decided to try a vegan lifestyle and in the past 4 weeks I have lost 13 pounds. It is amazing to me. I still have a long way to go but I feel positive and I can’t wait to see what the future holds. I am training for a half marathon for November so we shall see how it goes. I never took your course but was an active student at ULM when you were there. I worked at ULM for 5 years after I graduated. I am not sure if you were a professer during that time or not. I also ran track at ULM. My freshman year of track was Benji Jones’s Senior year (03-04). I found your site through the Jones. I just wanted to say that I think your transformation is awesome? I hope to be able to use your as an example for others. I too have almost transitioned to a vegan lifestyle (not quiet 100% yet). Keep up the good work. Wow, Your story is amazing!! I have just started running again and some days it feels like every run is up hill. Check out my blog if you have time. I was wondering if you ever use any athletic watches?